FC Augsburg and Hamburger SV will both be celebrating another year of Bundesliga football to come when they meet this Saturday (kick-off 15:30CEST/13:30GMT). The 2015/16 season will be remembered as the one when Augsburg made their debut in Europe, with their Europa League campaign brought to an end only marginally by eventual finalists Liverpool and their German coach Jürgen Klopp. Avoiding the drop on top of that gives the Augsburg fans plenty of positives to reflect on once again come the final whistle on Matchday 34. While Augsburg will be playing football for a sixth straight season next term, their guests Hamburg can look forward to a record-breaking 54th straight Bundesliga campaign having secured their top-flight status a week ago, and they will be happy to join in the celebrations this Saturday. FC Augsburg won at Hamburger SV for the third season running in the Bundesliga, prevailing 1-0 at the Volksparkstadion. Augsburg and Hamburg are 11th and 12th respectively, tied on 38 points. A win would take either side up to tenth should FC Ingolstadt 04 lose to Bayer 04 Leverkusen.This is the first time in three seasons that Hamburg's fate has not been decided on the final day. Last season HSV were 17th coming into Matchday 34. Two years ago they were 16th, only one point better off than the automatic relegation places. Fifth last season, Augsburg currently have 11 less points than they managed in 2014/15.Having begun this season in the UEFA Europa League, Augsburg looked destined to plummet from Europe to Bundesliga 2 having spent Matchdays 7 to 15 in the relegation places. 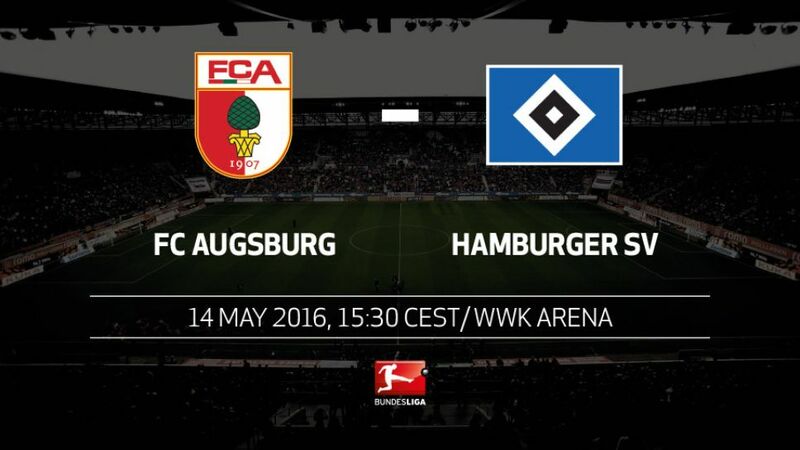 Augsburg have only celebrated more victories against VfB Stuttgart (seven) than they have against HSV (six).